Paying attention to flight attendants might save your life. It's a simple message, but passengers often ignore or passively watch along as safety instructions are given prior to takeoff. 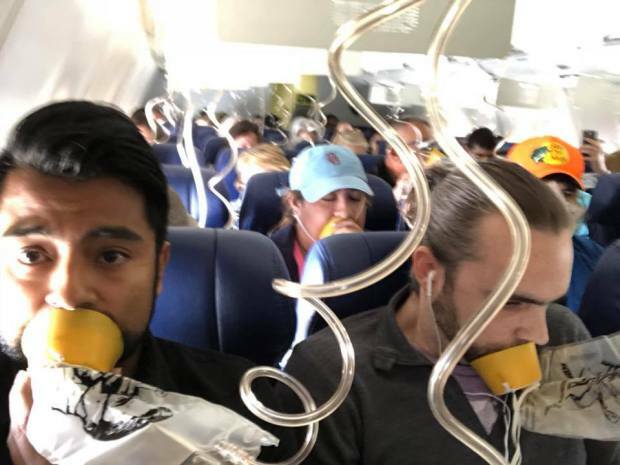 Images from this week's emergency landing of a Southwest Airlines flight, which lost cabin pressure above 30,000 feet, show several passengers improperly placing oxygen masks on their faces, putting their lives at risk. Marty Martinez, left, and other passengers of a Southwest Airlines flight from New York to Dallas are seen during the flight's descent on April 17, 2018. 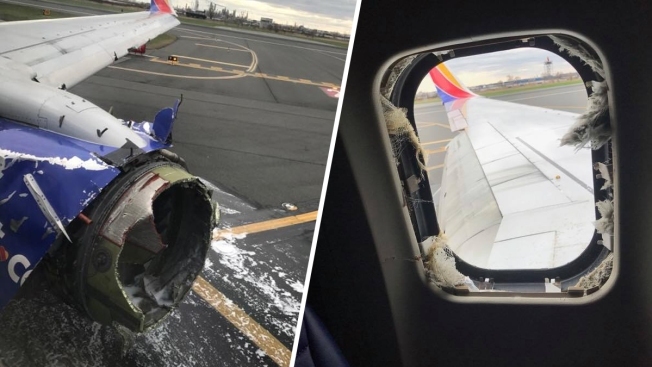 Shrapnel from a damaged engine took out a window twenty minutes into the flight, causing a passenger to be partially sucked out of the plane. One person died from the incident. — They will drop from a panel above you. You should pull them toward your face to extend the cord as needed. — Place the mask over both your nose and mouth. — With your free hand, pull the elastic string over your head and tighten as needed. — Adults should always secure their masks first before assisting children. You'll be of no use if you pass out from oxygen deprivation. On the Southwest flight, several passengers were only covering their mouths. That means they weren't getting the maximum flow of oxygen available to them.